The marching band is our largest and most visible program. The hard work, growth and reward over a marching band season is a memorable experience for students, parents and the community. Below is a broad overview of the program. If you have any additional questions or concerns feel free to contact us. 2016 Grand Champions of the Lafayette Classic Marching Competition. 2017 Grand Champions of the Super Bowl of Sound Marching Competition. The benefits for doing marching band are far too abundant to list here. I would invite you to simply type "Why Marching Band?" into an internet search and read away. Responsibility, Multi-Tasking, Discipline, Teamwork, Endurance, Time Management, Competition, Personal Growth, Presentation, and Leadership! The standard for being in the Band of Gold is high. Both students and parents will enjoy the life-lessons learned in the Band of Gold for many years to come. The marching band will host 3 band camps to prepare for the marching season. Head Start Camp occurs in May and is the first gathering of the marching band before Summer. 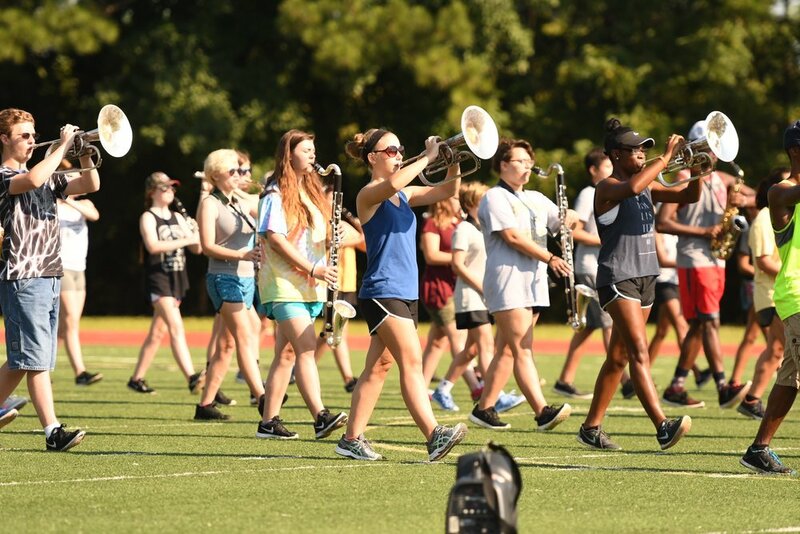 During this camp, students are introduced to the basics of marching band, receive their music, and play through the new field show and stand tunes for the first time. Pre-Band Camp occurs three days before full band camp and is the first meeting of the marching band during the Summer. This camp serves as an opportunity for students to brush up on the marching fundamentals, start playing their instruments again, and to prepare for learning the field show. Band Camp is the full Summer band camp. During this camp, the students will begin learning the competition field show on the field. This includes learning drill, the music and choreography on the field. The amount of instruction and progress during this week is vital to the timeline of learning the marching show for the season. 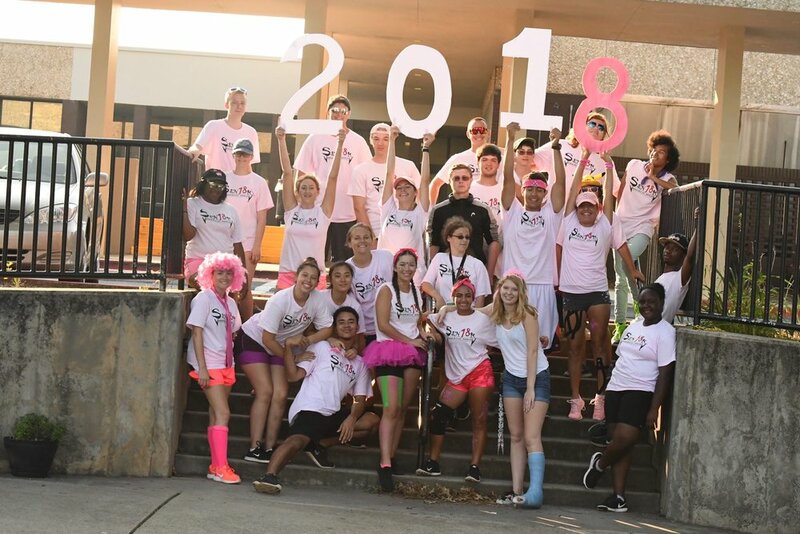 In addition, the students have a ton of fun and really connect to the marching band family. Performances will be posted on the band calendar and will include any football games, marching competitions and parades for the season. 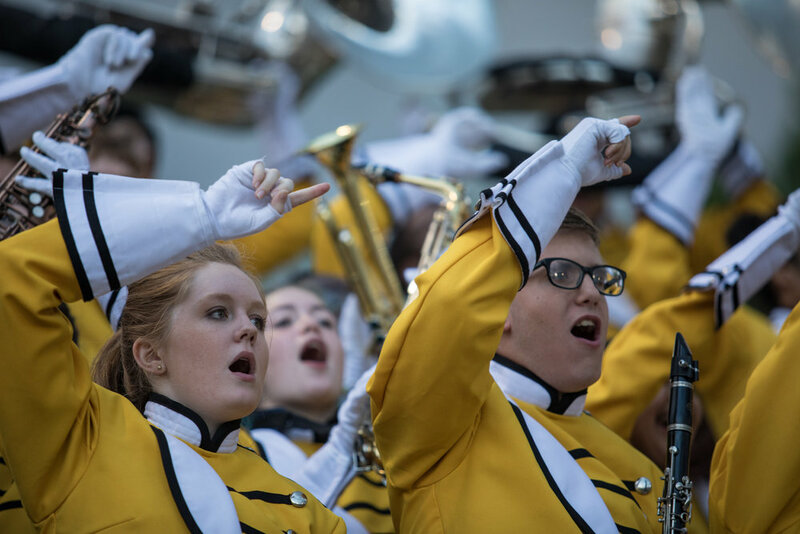 The marching band performs at all home and away football games, two marching competitions, two exhibition performances and at least one parade each season. On occasion the band will travel and perform on trips or do special events and those performances will be announced as they present themselves. We truly believe the high school marching band is one of the most rewarding experience a student can have. Here are a few questions we often get. Hopefully this will answer some of them for you. What if I can't afford marching band? We have several mechanisms in place to help parents pay for marching band. Band fees can be paid in full at a discount, or over a number of months with our payment plans. Also, our fundraising is designed to help parents cover band fees as easily as possible. We even have a large number of parents who fundraise their band fees entirely. Check out our Fundraising page for more information. Will I have time to do other things like clubs, sports or hang out with friends? Yes, our marching students are involved in Fall and Spring sports, ROTC, clubs, and other school and non-school activities. If you manage your time wisely you can still maintain an active schedule outside of band. You can still have time to hang out with your friends too! Will I be able to maintain good grades? Yes, this is largely up to you. The marching band has a set practice schedule. Our students learn to do their homework around those times. This includes having study sessions before practice and doing homework on off days. The vast majority of our marching band students sit in the top percentile of their graduating classes. Can a student be in band if they are not in a band class? No, with the exception of schedule conflicts or special circumstances. We ask all of our marching band wind and percussion students to be in the band class. The Sprayberry Band is a championship-level performance ensemble. The band class is where our students learn the fundamentals of musicianship. This philosophy has led to countless awards in music performance, grand championships and a reputation for excellence in the marching arts. Students who play wind instruments are expected to continue playing their primary instrument. Some of those instruments convert to marching-style instruments such as the mellophone, marching baritone, or sousaphone. Double reed players can either switch to another wind instrument or play in the front ensemble. Percussionists will either play in the marching battery or front ensemble. We do not allow wind instrumentalists to switch to percussion. Yes! Band Camp is where we put everything together. Students will receive almost 60 hours of instruction over the band camp week. That is almost two months worth of band practice in one week. Also, it's a ton of fun! Will marching band be too hard? No! The directors and staff of the Band of Gold have a system in place that gives every student a guaranteed path to success regardless of your playing ability. Students and parents are always amazed by what the band can accomplish in a short amount of time. It's really not as hard as you think. Is there an audition for marching band? Yes and No. Only percussion and color guard students have to audition. All percussion students will receive a spot in the band either in the marching drumline or front ensemble.